The Low Frequency Effects (LFE) of a movie’s soundtrack bring excitement, realism and just plain fun to action, adventure and sci-fi movies. Accurate reproduction of the bottom octaves of all music, especially pipe organ, symphonic and rock add that last touch to bring you true you-are-there realism to your listening. Worry not, Definitive has bass down pat. The ProSub 800 features a 300 Watt amplifier driving a high-excursion 8 inch front-mounted direct-radiating woofer that is pressure-coupled to an 8 inch Low Bass radiator on the bottom of the enclosure. The net radiating area of the ProSub 800 is 27% greater than a single 10 inch woofer but with better speed, pitch definition and control. Definitive's ProSub 800 is an advanced technology subwoofer with built-in high-power, high-current amplifier and sophisticated electronic crossover in combination with an 8 inch driver of the highest quality. A complete array of controls and connections allows it to be hooked up to and perfectly integrated with any stereo or multi-channel audio system, and tuned for optimum performance in any room. The sonic result is accurate, awe-inspiring, high-impact, high-reality bass performance with superior transient response, vanishingly low distortion, stupendous subsonic power and high output capabilities. It is truly a unique combination of delicate musicality and thunderous power for the ultimate in home theater sound effects as well as unsurpassed musical excellence. 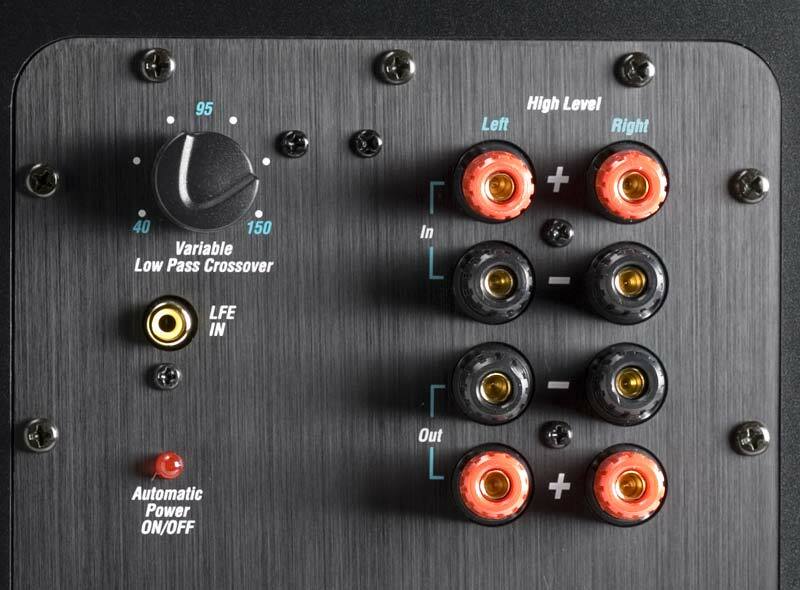 The ProSub 800 incorporates Definitive Technology's unique digitally-coupled Infinite Power Source amplifiers with high-current direct coupled power supplies and discrete MOSFET output devices to ensure perfect high-definition resolution and reproduction of the most dynamic program material and demanding sub-bass transients. Construction quality is absolutely state-of-the-art with only the highest quality components used including mil-spec glass epoxy circuit boards and precision resistors and capacitors for many years of faultless superior performance. 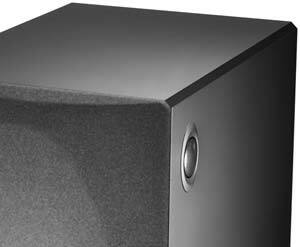 In addition, tremendous current reserves, high peak-power capabilities and two protection circuits ensure that these subwoofers can never be overdriven. There is also a convenient, signal-sensing, auto on/off feature. The powerful, high-definition driver delivers rock-solid low distortion bass, reaching down to the lowest subsonic frequencies, with an outstanding quality of superior transient response. The special ultra-stiff, low-mass cone (for super-fast transient response) is joined to a butyl rubber surround and long-throw voice coil and spider. The incredibly rigid baskets are engineered to hold the massive magnet structures and large voice coils in absolute alignment. The high temperature voice coil is aluminum wound with triple insulated ultra-pure copper wire and baked in epoxy for power handling in excess of 750 watts. 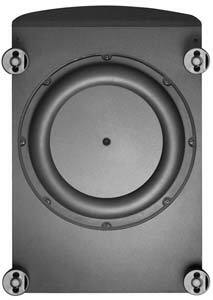 The cabinet of a loudspeaker plays a large part in its sonic performance. Resonance and vibration can add unwanted distortion as well as drain away important energy from the system. Definitive's subwoofers utilize monocoque cabinets, which have been specifically engineered to be totally inert and vibration free, to ensure you of absolutely pure sonic reproduction. Monocoque means that the cabinet is of a unitized construction where all panels are permanently joined together into one solid structure. The cabinet walls themselves are high-density MDF fused together by space-age polymer adhesives. The front and rear baffles are extra thick and the cabinets each incorporate multiple internal braces to ensure total solidity. The sophisticated low distortion electronic crossover is a masterpiece of design and execution. It contains a complete range of hookups, circuitry and features which allow the subwoofers to be connected and perfectly blended with any system as well as adjusted for optimum performance in any room. 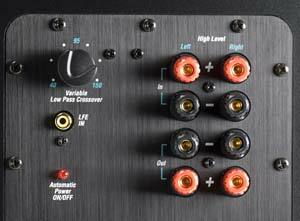 The ProSub 800 features a continuously adjustable low pass filter control which allow you to choose a high frequency roll-off of from 40 to 150 Hz. This unique "dual stage" roll-off is extremely steep which ensures perfect blending with your main speakers as well as eliminating unwanted midrange from the subwoofer. 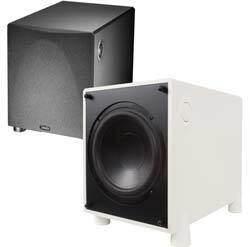 This is especially important because it gives you much greater flexibility in placing your subwoofer in your room without being able to hear where it is located. There is also a separate low-level direct LFE input for Dolby Digital which bypasses the crossover network. The subwoofer level control is conveniently mounted on the side of the enclosure instead of the rear panel, making it easy to reach. It allows you to perfectly adjust the volume of the subwoofer to match your system and room as well as to fulfill your own personal sonic preferences.